Аппараты с дисплеем, для слабослышащих. цена смешная - ликвидация склада. В них есть всё необходимое - громкая связь, спикерфон, память, крупные удобные книпки, большой информативный дисплей. BT - Бритиш Телеком, производство Великобритания. (не Китай), надёжность и качество по смешной цене. Звоните срочно. The Converse range of telephones are available for rental and retail sales. Both models are of conventional two piece design. The converse 300 (shown on the right) incorporates Loud Speaking Telephone (LST) facilities. Additional facilities for the 'hard of hearing' and 'disabled' user are also incorporated. Headset 1. - Low cost headband type and is non repairable. Headset 2. - High quality headband type that has an adjustable voice tube and a quick disconnect facility. Spares are available and should be purchased direct from the manufacturer as required. Headset 3. - High quality over the ear type that has an adjustable voice tube and a quick disconnect facility. Spares are available and should be purchased direct from the manufacturer as required. Voice amplification is available when using the headsets. When wall mounting the telephone it may be necessary to reverse the handset clip, to support the handset. The base moulding incorporates a 'Handset hook' feature which enables the user to hang the handset up if they need to leave the phone during a conversation. This saves the user having to find somewhere to put the receiver or leave it suspended on the end of the handset cord. Distributed, rented and sold by BT. For use on DELs and PBXs in categories 1,3,5,7,9 & 11. Modifications which have not received appropriate approval must not be carried out. To do so would invalidate approval making connection unlawful. REN, both telephones in the Converse range have a REN of 1.5 and are intended for use in normal Domestic/Residential locations or connected to any approved PBX. The base unit has a reversible wedge which can be turned round for wall mounting. The telephone cannot be used without the wedge. Converse 200 220ram x 185mm x 9Omm, weight 830 grams. Converse 300 22Omm x 185mm x 9Omm, weight 830 grams. Two 25mm x No.8 pan-head wood screws and wall plugs are provided for wall mounted use via key-hole slots in the base of the units. Three good quality AA or R6 size batteries are required for the Converse 300. Batteries allow memory programming on hook and retain memories whilst the phone is unplugged. The first act of batteries will be supplied with rented phones, but not with sold phones and it is the users responsibility to provide any subsequent battery replacements for both sold and rented phones. Converse telephones are supplied with a line cord terminated by a plug for use in Phone Sockets. The telephones will be supplied with the signalling switch set to TB. Seized - Normal press button telephone loop. 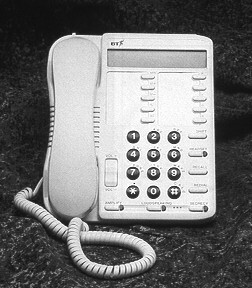 The electronic keypad and transmission circuitry may give 'high resistance' tele loop line test conditions as with other press button telephones. - All models, continuous tone whilst button is pressed. - All models, approximately 90 ms.
- All models, minimum of 720 ms up to a maximum of 1.2 seconds. Some facilities are not available when Converse range telephones are connected to a Renown or BT2+8. 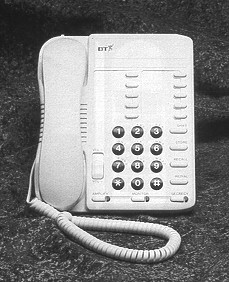 Please refer to CFN Voice - BT2+8/Renown 003 compatibility with modern telephones. 1. Pick up the handset or press the loudspeaking button. 2. Press STORE, display will show A. 3. Press one of the memory keys. 4. Key in the phone number you want to store. 6. Replace the handset or press the loudspeaking button as appropriate. 7. Write down the name of the person, whose number you have just stored. 3. Press SHIFT, the display will show B. 4. Press one of the memory keys. 5. Key in the phone number you want to store. 7. Replace the handset or press the loudspeaking button as appropriate. 8. Write down the name of the person, whose number you have just stored. Pick up the handset or press the loudspeaking button. Press the memory key of the number you want to call. The Converse 300 will automatically dial the number. Press SHIFT, display will show B. Set the Converse 300 to either INCOMING or OUTGOING amplify. Press AMPLIFY and the red light will come on. Adjust the volume control as necessary. When you’ve finished the call, replace the handset. The amplify facility will automatically switch off and the light will go out. To get the best use out of the Loudspeaking facility, make sure you wait until your caller has finished speaking, before you speak. The red light will come on. When you hear the dialling tone, dial the number required. If the call is answered, then continue, by talking to your caller. Press the LOUDSPEAKING button when finished. When the telephone rings, press the LOUDSPEAKING button, and talk to your caller. To finish the call press the LOUDSPEAKING button. Switching between the loudspeaker and the handset. If using the handset, simply press the LOUDSPEAKING button, then replace the handset. If using the loudspeaker, simply pick up the handset and continue the conversation. Converse 300 has been fitted a calculator facility. This enables the user to carry out simple numerical calculations. It allows the following functions to be carried out, addition, subtraction, multiplication, division and percentages. Once the mode has been entered all the function keys for the calculator mode, become active. If you are using the calculator and the phone rings, simply answer the phone by picking up the handset or by pressing the LOUDSPEAKING button. When the call has ended simply replace the handset or press the LOUDSPEAKING button. Note: Answering the call will not effect the operation of the calculator. The call must be made before the calculator is operated. Make the call by pressing the LOUDSPEAKING button, or picking up the handset. Wait for the dial tone, and then dial the number. Once the number has been dialled, the calculator can be operated. (By pressing the SHIFT button and then the # button. The calculator can be left by pressing SHIFT and then # button. The calculator can also be left by storing a number in one of the memories. Alternatively the calculator will automatically switch off after 1 minute, from the last entry of a key. Enter the calculator mode, by pressing the SHIFT button and then the # button. Press 15 + 75 = 90. Press 75.5 + 22.8 = 98.3. Subtraction, Multiplication and Division work in the same manner. MRC - this means Memory Recall. (M+ adds results to the memory & M- subtracts result from the memory). NOTE: Pressing AC will clear all the memories and the calculator display. NOTE: To transfer a call while in calculator mode, you must first switch off the calculator. Remove the right memory label. Press the STORE button and then the TIMESET button. Using the Key Pad enter the time, remembering to enter in a 24 hour clock format. Finally press the STORE button.